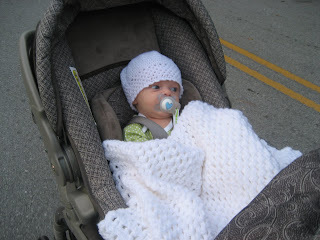 We took Kenley for a walk around the neighborhood last night. It is starting to become Fall around here and I am thrilled! The air was crisp and there was a nice cool breeze, it was great! 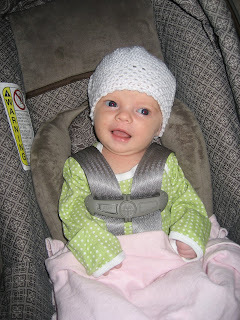 Doesn't she look adorable in the hat that a friend of Grandma Ronk made for her! Thanks Grandma Ronk's friend! 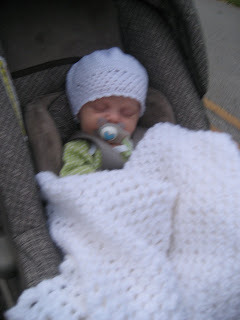 It goes great with the beautiful blanket that Grammy Hiegel's friend Laura made! 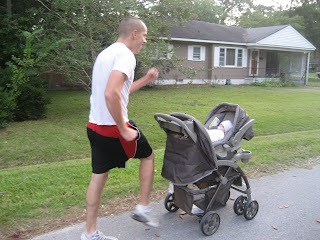 Daddy thinks he is so funny when Mommy tries to take pictures... Halfway through the walk she drifted off to sleep! Oh my gosh, Keri. She is SO adorable! She is so cute!! Majes me want to have another! OMG she's the most beautiful baby EVER! Can't wait to meet her in person! Pretty precious! 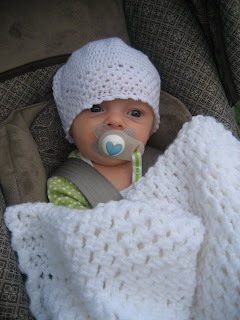 Reminds me that I need to knit something for Violet. We love it! Family walks are great, especially once it feels like fall outside! soooo cute! She just looks so happy! Oh, and I love the hat! 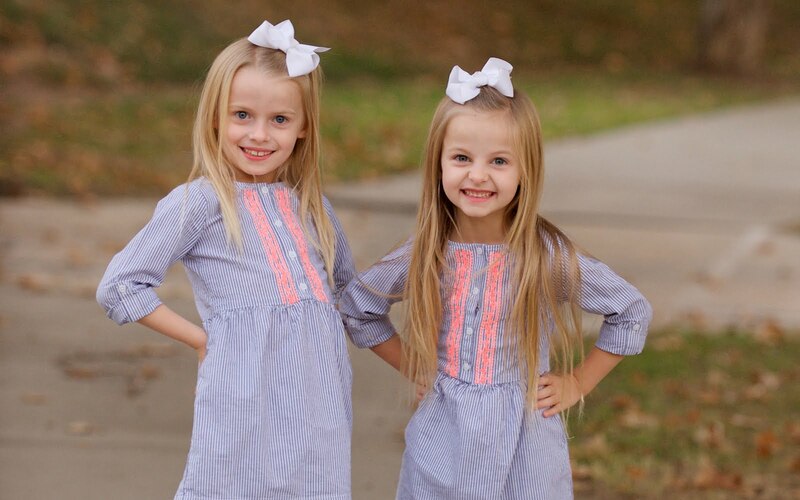 I just stopped in to check on how you and Kenley are doing! It looks like you are both great! Take care!